“As soon as Hearts moved closer to the third spot the monkeys start to squeal, lie and create conspiracy plots. I thought I had expressed myself clearly – I am selling the club and I am not going to give any more money away. It is pointless to support show business, not football. Hearts is now living out of its own budget. Everyone knew, including players, media and SPL that the wages are going to be paid as soon as the money was received for Eggert Jonsson, who was sold last year. But media still tried to create conspiracy plots about the team and managed to get a prompt and unwise decision from the SPL meeting, which the club asked it to postpone until next week in order to get opportunity to pay the wages. As such I have not cheated anyone. 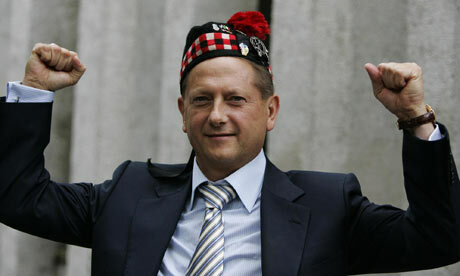 The monkeys tricked the SPL, fans and themselves and showed who is in charge of the football mafia. They will continue to cheat as this is their job. I am used to their lies. I remember when the fight started between two people at the end of one of our AGMs and all the cameras were there as they were expecting it. Later that episode was covered by all major stations as backdrop of the AGM, trying to portray the club as a mess. I feel sorry for the poor monkeys. Mowgli is asking to work for the publicity of the Old Firm, that’s why they have to lie and tell tall stories. But there is no future for Scottish football while these media monkeys are in charge. Not just for football, but for the whole country. When people tried to protest in the streets, media turned it into chaos, demonstrating masked instigators and hired gangsters in front of the cameras. I have nothing to prove. Seven years ago I proved that there was no football, but only show business. When Kaunas threw Rangers out of the competition you switched your TV off to avoid embarrassment. Fear takes away the wisdom. I am going to reiterate once again – I am not going to gift the club money anymore. The only thing left for the club to do is to develop its own youth and attempt to enlighten people who have been deceived and held as part of a stupid crowd by Mowgli. Yes, you read that right. Pull back your chair, go and have a cup of coffee and some fresh air or something. Collect yourself. Boy, I’m going to miss this man when his wagon finally rolls out of Edinburgh. All we need to figure out now is who is Mowgli? This could take as long as it took to discover who shot JR.